The largest portal on homoeopathic education developed by postgraduate homoeopaths. Their aim is to provide free service to academics, researchers, and students working in the area of homeopathic & allied medical sciences. They have open collaboration with other organisations and institutions world wide. It would help providing the authors the maximum exposure as well as easy and free access to the users. Dr. Robert Séror has assembled a collection of 300 photographs of famous homeopaths. HomeopathieNetwerk is a Dutch website that provides information about classical homeopathy and natural health. With over 400 articles, books and the latest news it stands at the forefront of Dutch Homeopathy. Alternative Training is the sister company to the School of Homeopathy, Devon UK. Alternative Training provides high quality courses in conventional medicine for alternative practitioners and a great range of books on homeopathy. The Homeopathic Nurses Association is proud to be the professional organization for nurses who are pioneering the practice of homeopathy in nursing and choosing to help their clients through personal and family health challenges using the science and art of homeopathy. This site is for education purpose. It has complete range of information for entire panorama of Homeopathy which includes Repertory, Materia Medica, Organon, Philosophy, Pharmacy etc.As this site is for educational purpose we do not charge any registration fees. 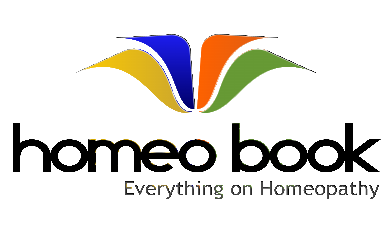 Offers to Homeopath Professionals, an easy, step by step approach to enter the world of Online Counseling globally and as a medium for Homeopath Professionals to promote their practice online by easily creating a web presence for themselves. The website of the British Homeopathic Association and Faculty of Homeopathy. The information on this site aims to be accurate, reliable and evidence-based – information you can trust.The site has three main sections – one primarily for members of the public, one for healthcare professionals and one about research in homeopathy. A very useful site that functions as a global doorway for homeopathy on the web. Includes a directory; reference library; www resources link; services and supplies; discussion forums. It also has a link to an online remedy finder service. Members of the Institute of Homœopathy aspire to the practice of Classical Homeopathy and are committed to developing their own expertise and experience and to enhancing the quality and profile of homeopathy generally. The repertories of Kent, Bogner, Boenninghausen, Repertorium publicum from Vladimir Polony, an Akut-repertory of BZ-homeopathy in German and some more. You can repertorize with this data.If you’re logged in, you can build your own repertory from different sources together and save your repertorizing. The British Homeopathic Library is a library and information service dedicated to the research and practice of homeopathy. Carries a database of over 25,000 articles and book references on homeopathy – and it is free to search from the website. A wealth of homeopathic information. Has books and articles available online, also a forum and a journal. Online Text of Homeopathic Classics – Hahnemann, Kent, Lippe, Boericke, and others. This site is dedicated to the study of homeopathy and provides educational information, articles and services to homeopaths all over the globe. LyghtForce is your one stop source for alternative health information and products. A site for self-improvement and personal growth. Has directory, articles, and inspirational quotes. An online video teaching source for clinical cases, their analysis, and their homeopathic treatment. Key, insightful info on many homeopathic medicines, written by a Dutch classical homeopath, Anja Heij. If you need to find a homeopath in a European country or you wish to find out about the work of the European Council for Classical Homeopathy(ECCH) which represents the homeopathic profession and their patients in Europe then please visit this web-site. In German, this is a discussion group of homeopathic clinical practice. This is an online directory of homeopaths who have received certification from one of the leading homeopathic certification agencies. An educational experience on classical homeopathy. Protecting moral values which are lacking in our society. A scientific portal based on Islamic teaching, utilising all useful resource and offering service to all. A high quality online subscription resource that brings you articles, information on repertory and material medica. There is a chat room & discussion facility. A great site, Hpathy.com is an open project in which homeopathic community from across the globe is participating. Gives you access to the Hahnemann’s Organon Of Medicine. Includes preface, contents and introduction. This site has an online remedy finder. Also there are sections on classical homeopathy, self-diagnosis and homeopathy at home. This publishing company, established by Savely Yurkovsky, MD, features books and articles about homeopathy. The site includes the title Biological, Chemical and Nuclear Warfare, Dr. Yurkovsky’s book about using homeopathy for home care in the event of such tragedies. An interesting site, articles considering homeopathy from the point of view of esotericism and consciousness studies. It also has case studies for the main kingdoms. Sea Change is dedicated to supporting homeopaths with supervision. Supervision can transform a ‘stuck’ case or practice, and Sea Change offers contact with experienced homeopaths trained in supervision and willing to offer support by email and phone. Bringing you complementary health products, services, and resources available at the lowest possible cost. HAT’s aims are to make homeopathy more widely available, so more people can benefit from its gentle but powerful effectiveness. Includes downloads from Rajan Sankaran and the Bombay crew. Plus it has a forum that you can join. A body helping to improve the quality of education within the discipline of classical homeopathy. A site that focuses on classical homeopathy. The internationally renowned Jeremy Sherr’s Dynamis School. The aim of the Dynamis course is to develop in each student a deep understanding of homeopathic philosophy and principles. A homeopathy charity that aims to promote homeopathy as an effective, low cost primary health care system in communities disadvantaged by social, economic and political circumstances. 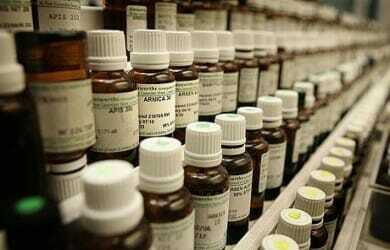 Giving you access to the homeopathic alternative therapy centre. NANHE is a collective of homeopathic educators committed to the evolution of Classical Homeopathy through homeopathic education. . Founded in 1985, the American Association of Naturopathic Physicians (AANP) is the national professional society representing licensed or licensable naturopathic physicians who are graduates of four-year, residential graduates programs. The Prince’s Foundation for Integrated Health is dedicated to helping people, practitioners and communities create an integrated approach to health and wellbeing. The content of the library is intended primarily for health professionals, as well as for CAM practitioners and researchers, but the majority of the information is also accessible by patients and carers. 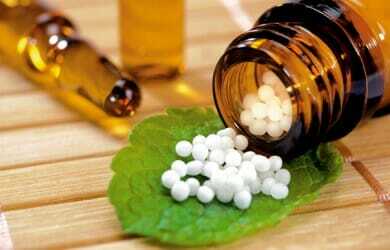 An excellent site for practicing homeopaths and students of homeopathy. Includes clinical insight into large and small remedies, case taking advice and repertory insight. The california center for homeopathic education (cche) offers a program for training homeopaths and students of homeopathy to perfect their case-taking, analysis and management using the System of Vital Sensation developed by Dr. Rajan Sankaran and other methods. Interdisciplinary Research Based Website on Use of Biomedical Instrumentation as Parameters in Homoeopathy by Dr. Mahendra H. Gaushal & his team. A global project to unite homeopaths from all over the world to bring recognition to scientific homeopathy. It is an attempt to join hands for our common benefit i.e. taking homeopathy to newer heights. Our aim is to help scientific homeopathy reach to the masses. A company that creates cost-effective websites for homeopathic practitioners by combining creative and technical skills with knowledge of homeopathy and homeopathic practice.